Marking as the new of Sikh year and formation of Khalsa Pant(the warrior group of Sikhs). On Baisakhi, the tenth leader of Sikhs Guru Gobind Singh was made the Guru who raised the army of Sikhs. Take a look at the given below a list of Happy Baisakhi messages and wishes in Punjabi for 2018: WhatsApp messages, Baisakhi wishes and greetings, SMS, Facebook posts to wish everyone. 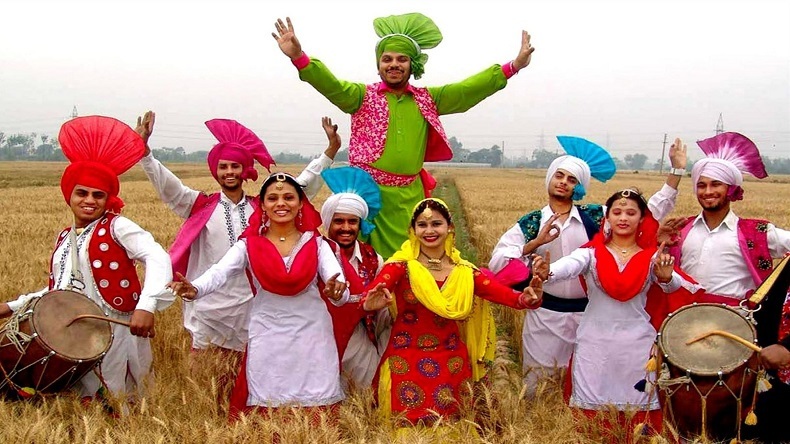 A perfect way of celebrating of Baisakhi includes singing of Baisakhi songs and performing Baisakhi dance. Young boys sing famous Baisakhi songs and bhangra and gidda are the folk dances that are performed. One of the most important festivals of Sikhism, it falls on April 13 every year. Marking as the new of Sikh year and formation of Khalsa Pant(the warrior group of Sikhs). On Baisakhi, the tenth leader of Sikhs Guru Gobind Singh was made the Guru who raised the army of Sikhs. Although, there are various ways of lauding the day but in some parts of India, Baisakhi is celebrated by dancing, attending melas and having good food. People visit Gurudwaras and temples to thank god for the harvest. If you are putting up in another country and are willing to wish your family and friends, simply take a look at our collection of Baisakhi messages and wishes to share with near and dear ones in order to make them feel special and loved.